[Bangkok] Eureka! 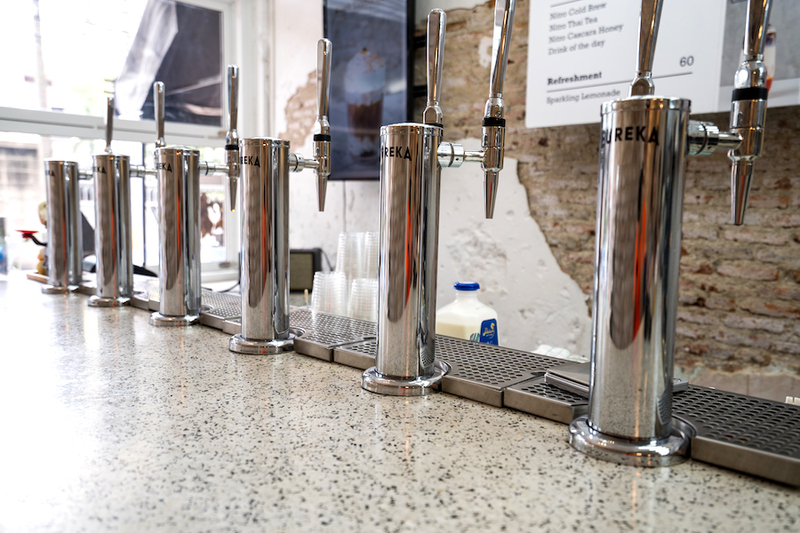 Isn’t it cool to watch nitro coffee, tea and lemonade freshly pumped from the metal taps? 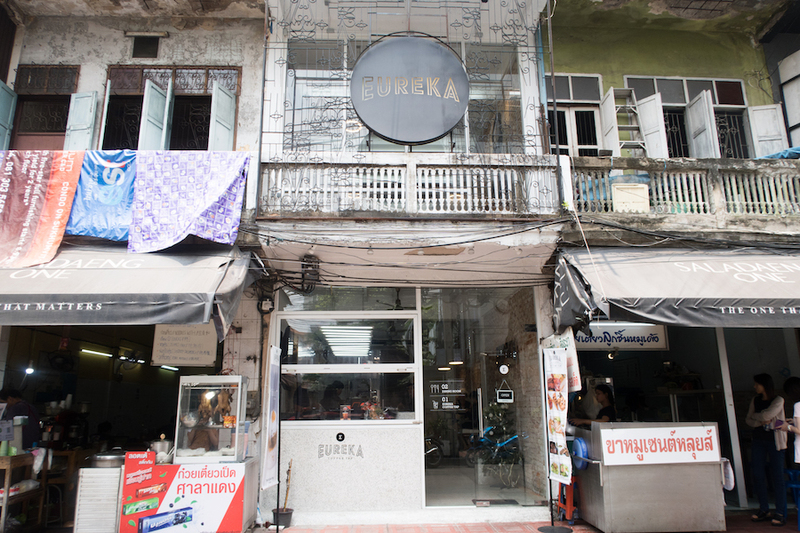 Eureka Nitro Coffee located Saladaeng Soi 1 does not serve your usual cup of joe. You get such unique flavours from Durian Thai Milk Tea, Peanut Butter Thai Milk Tea, Salted Egg Latte to Papaya White Chocolate Cold Brew. What?! 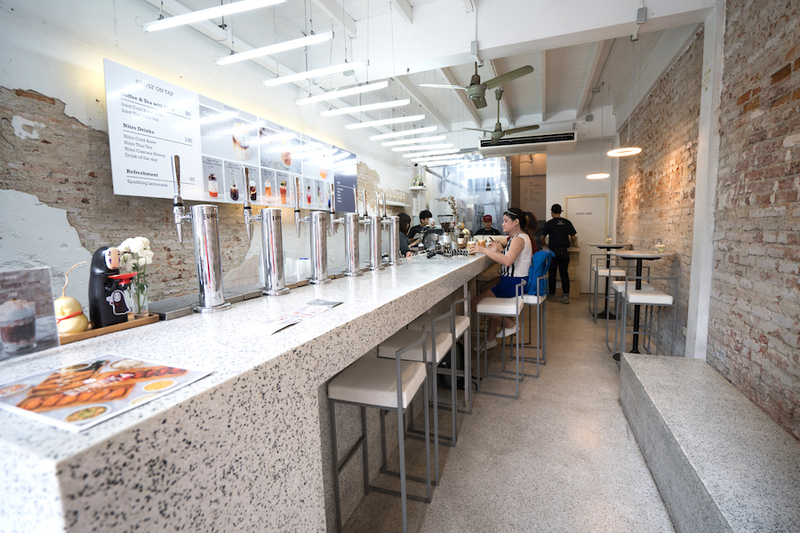 Situated just 200m away from Lumphini MRT, the cool hipster cafe has a bar-like setting with bar counter seats on the first floor to witness all the ongoing action. 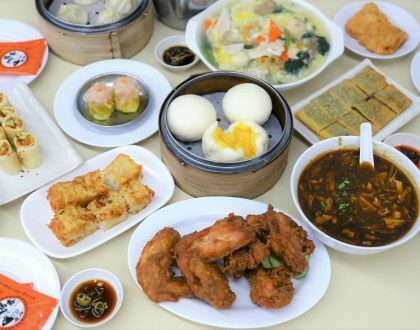 Their menu is simple and concise, with English words and photos which made ordering so much easier. Surprisingly, there are no Thai words on the menu though. 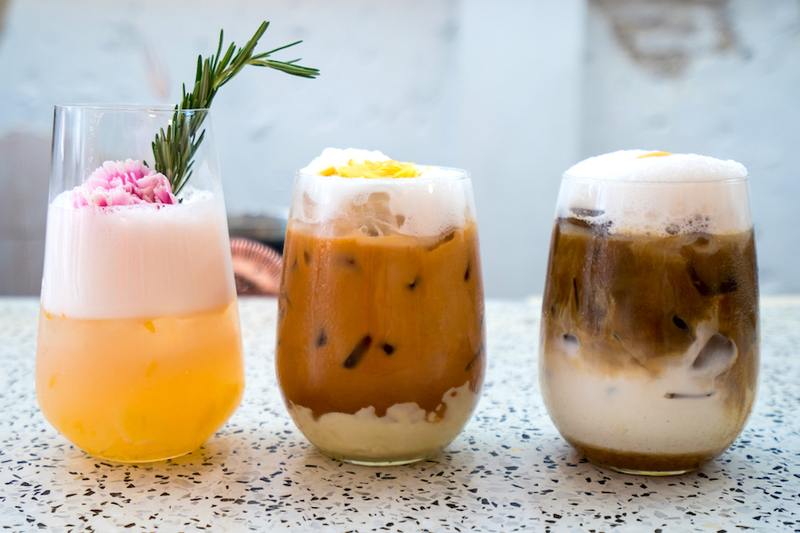 Their signature “cocktail drink”” are categorised into Coffee (THB 130-140, SGD 5.50-6), Tea (THB 100-150, SGD4.20-6.30) and Refreshment (THB 120-150, SGD5-6.30) whereas normal Nitro drinks are priced at THB 100 (SGD4.20). 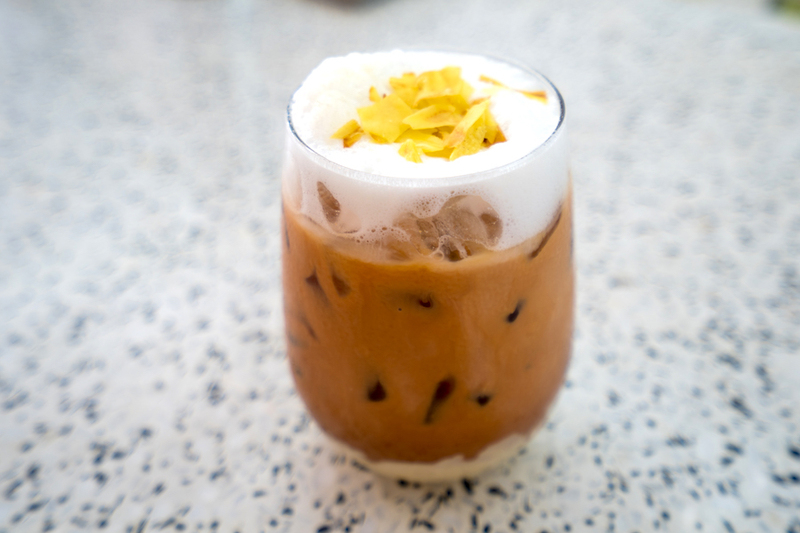 The Kai Kem Latte (THB 140, SGD 6) also known as Salted Egg Latte caught my attention, and I was really curious how it would taste like. 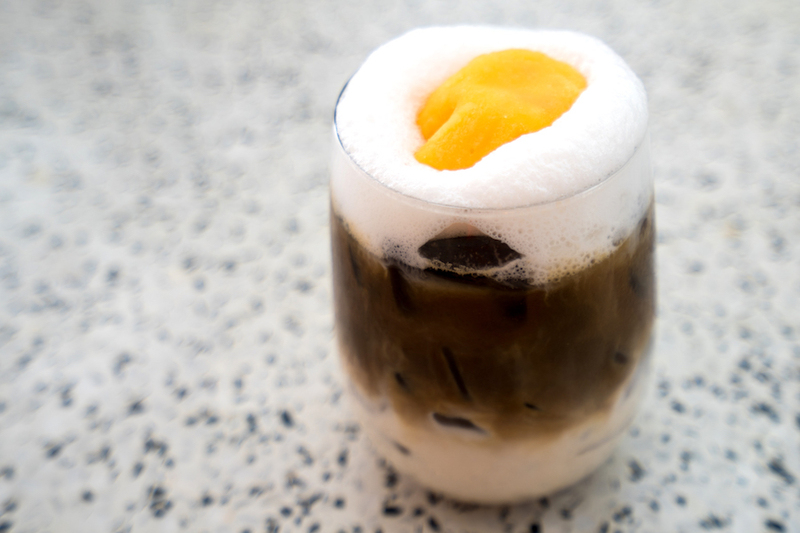 Made up of caramel salted egg syrup, caramel latte and topped with Thong Yip = a traditional Thai dessert made from sweetened egg yolk, I was told to poke the straw through the Thong Yip for maximum enjoyment. It tasted… just like a mooncake, in the liquid form with a grainy texture of a salted egg yolk, blended with sweetness and bitterness from the latte and slight saltiness from the egg yolk. 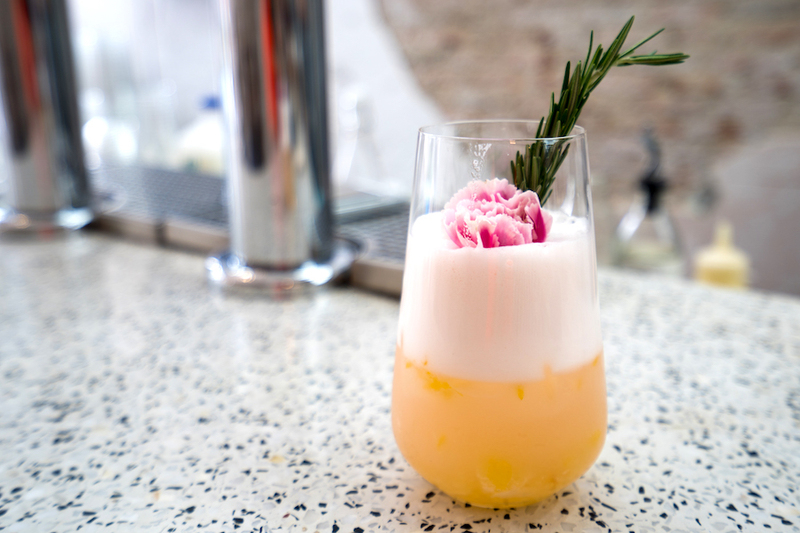 This “savory latte” was surprisingly well balanced, hitting all the right notes. 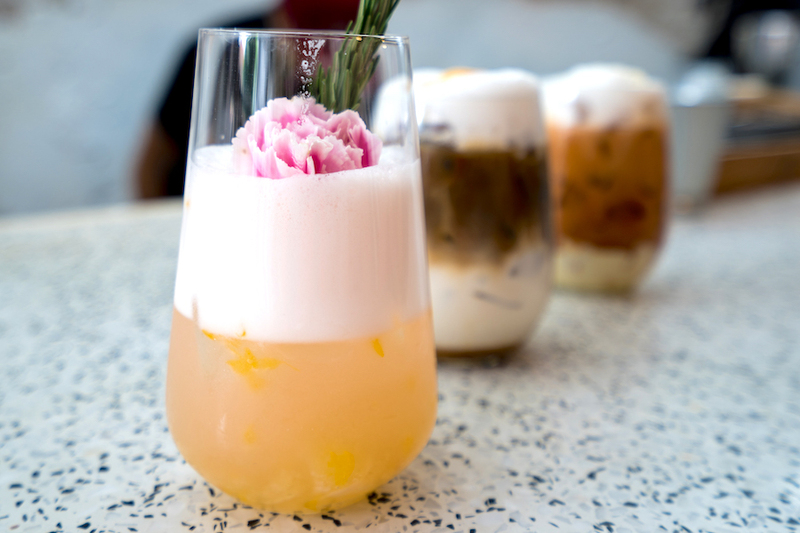 The most expensive drink on their menu – the Durian Iced Tea (THB 150, SGD6.30) which was another highlight, combining the popular tropical fruit durian with Thailand’s signature drink Cha Yen. Using durian ice cream as the base, topped with Thai milk tea directly from the tap and sprinkled with freeze-dried durian chips for an extra crunch. 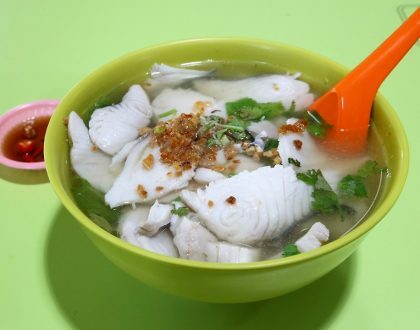 Aroi mak mak! Without being overly sweet as it was balanced off by the bitterness and extra creaminess from the durian ice cream, the combination was quite refreshing. The “pungent” aroma is absent in Thai durians making it more enjoyable for those who don’t fancy durians. 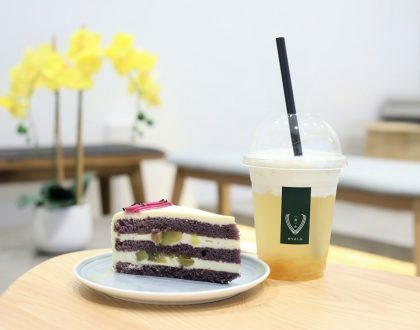 For a lighter option such as lemonade, the Sakura Yuzu (THB 150, SGD6.30), Mango jelly, Green Friendly and Butterfly Pea (THB 120, SGD5) are also available. Combining refreshing yuzu soda with sweet cherry syrup, the Sakura Yuzu Lemonade (THB 150, SGD6.30) is definitely a thirst quencher. Light bites are also available on the second floor, which is opened for casual dine-in and the 3rd floor for private dining. 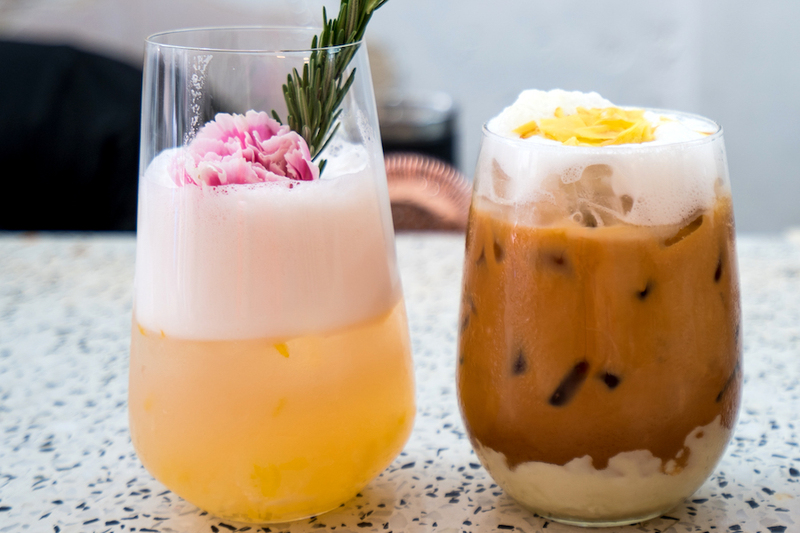 Eureka Nitro Coffee is the spot for some adventurous and aroi mak mak nitro drinks, and I will definitely drop by again when I am in Bangkok.